Today we are launching Zest Enlight’s closed beta. This is by far the biggest closed beta we’ve ever had and we’re inviting up to 3k beta helpers from the marketing, EdTech, product and HR industries to participate. Zest Enlight represents a product-based solution to a problem I’ve faced many times over the past 12 years as a self-made professional. That problem was finding quality knowledge-building content to advance my skills in a format that met my needs. I have always loved gaining knowledge. I just couldn’t take classes. I’m dyslexic. I could never sit quietly in school. I couldn’t write more than two sentences without losing my thoughts. And only my mother could read my handwriting. I didn’t last in University. And, I didn’t have the patience to complete lengthy online courses either. But, eventually I found a way to learn what I needed in order to become a success, first as a web marketing agency owner, then as a CMO, and now as the co-founder and CEO of Zest. It was this journey from struggling student to accomplished self-learner that inspired me to create Zest. I knew I was not alone in seeking a better way to consume knowledge-building information. Zest was just the beginning though. It laid the groundwork for something much bigger. And now bigger is here: Zest Enlight. Zest Enlight is the ultimate knowledge building platform for marketers. It delivers the reliable, community content curation you’ve come to love and adds deeper tech and premium features. It is what I always thought learning should be: Timely, accessible and easy to consume. Because even though I never enjoyed traditional classes, continual learning, upskilling and improving my talent has always been my only career plan. I was glad to escape university and embark on my career. But as I began to advance professionally, I found myself encountering this same problem. I wanted to continually improve but I didn’t have the patience for workshops or online courses. You should know, though, that I LOVE learning. What did work for me was to consume bite-sized pieces of content. I learned best from the articles, podcasts and videos produced by entrepreneurs, business and marketing pros who shared real world examples and actionable advice. But, sometimes when I tried to find this relevant content, I was overwhelmed by the sheer volume of content available. I made it work though. And, it is this type of learning that helped me grow into the professional I am today. We are a generation of individuals who are self- taught, consuming knowledge-building content through personal connections and professional communities. When I read the article, Why Learning is My Only Career Plan by Brian Peters, I knew I had found a kindred spirit. 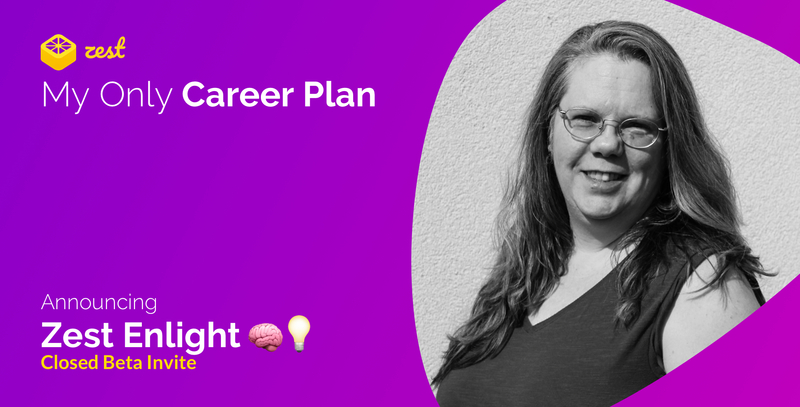 Peters wrote about the incredible value of compound time and the great opportunities that result from placing learning at the core of your career plan. I too believe that learning is the key to propelling your career forward in whatever industry or field that you work. Peters’ article led me to an article by Michael Simmons that explained compound time even further. Amazing stuff! Simmons wrote that top performers like Warren Buffet and Paul Tudor Jones excel because they invested their time wisely. They chose to take time away from busywork and the daily grind to study and gain information that paid off for them in big ways. He wrote, “I call this compound time, because, like compound interest, a small investment now yields surprisingly large returns.” and illustrated his point with the following chart. But are the traditional methods of instruction the most effective or efficient way for professionals to learn? Much of the research, particularly research about how adults learn, says no. Self-determined learning, is the key to providing professionals with continued education. Yet, despite the known benefits of self-directed, focused learning, that isn’t the way most organizations and institutions deliver knowledge. Our current system of professional growth and development is fragmented and dysfunctional. Companies have been slow to provide individuals with the resources they need to develop their skills and talents. In a 2018 survey of over 7,000 employees conducted by Gartner, 80% of the respondents indicated that they hadn’t developed the skills needed to perform their current role or to advance their careers. Further, among those companies that provide their employees with training and support, many do so using a top down approach in which professionals are told what to learn and when. 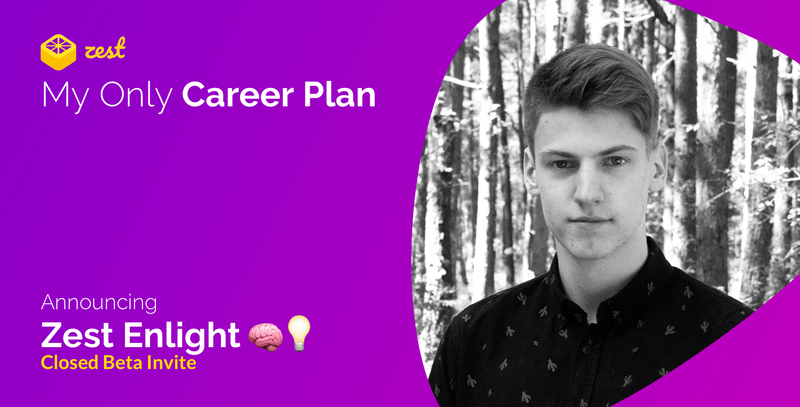 The truth is that when it comes to securing our careers and our futures through knowledge building and skills development, most of us are on our own. But even when we choose to take control of our learning path, we modern self-learners need the right tools to help us achieve our goals. In a time when we have more opportunities than ever to take control of our careers and career development, we sometimes suffer because we have too much of a good thing. There’s too much information from which to choose. When he wrote about the coming deluge of content in 2014, Mark Shaefer called it content shock. 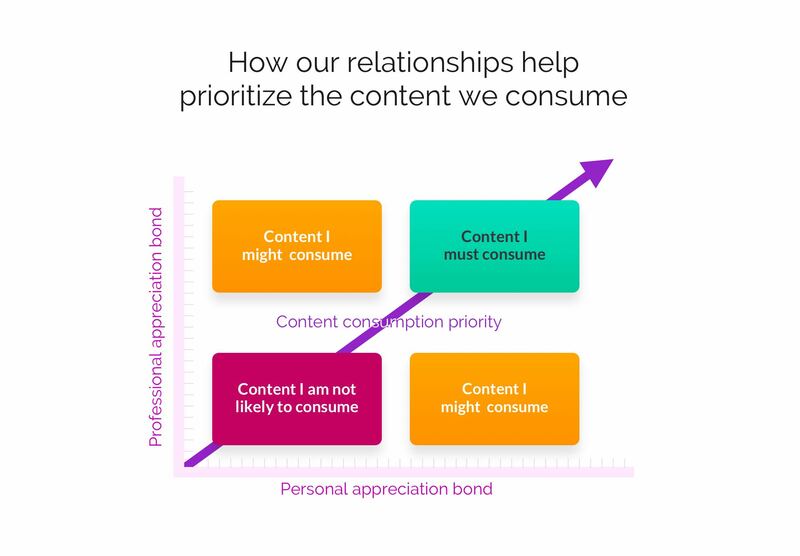 In his article, Schaefer predicted that by 2020 the amount of content produced would far outstrip anyone’s ability to consume it. Do we really have that much content to sift through? Josh Bersin and Marc Zao-Sanders report that over one-third of the content published online is either educational or informational in their article, Making Learning Part of Everyday Work. And, each day, millions of new pieces of content are published. But, of course, that doesn’t mean that every piece of content that is educational or informational is useful or relevant to every professional. And that is the real problem. More than ever before, professionals have access to quality, knowledge building content. But finding that content–choosing which content to invest their time in consuming–is a nearly impossible task. So, how do self-learners find the content that will help them develop their skills? And, more importantly, how do they decide which content to consume? My career plan is dynamic. Serving as Zest’s CEO will not be my last career achievement. And, without continual learning and improvement, my career will become stagnant–like a standing pool of water. So, I know that my need to learn new skills will never go away. Yet as a working professional, my need to effectively manage my time will never go away either. That’s the feeling of learning as part of a community. Before I founded Zest, I noticed that when I shared content–the good stuff–with others, they couldn’t get enough of it. So, I started sharing articles, videos and podcasts with my employees, business partners, colleagues from abroad and any other person when I believed the content would help them upskill or learn something new related to their niche. This type of sharing is “tribal self-learning” at its best. I have several dozen friends who are always sending me things to read or watch or listen to. They are my most valuable source of content and inspiration and I have cultivated these relationships over my entire adult life. This was not calculated or planned. It is just happened. Wilson is a self-made tribal self-learner! Well, Fred, with Zest Enlight, that day has arrived. Professionals are tribal self-learners. Now it’s time for them to rise. As a professional, I maintain several different levels of bonds with others within my industry. Some I consider personal friends and I appreciate them as individuals–our “personal appreciation” bond is high. Others I deeply respect as professionals because of their knowledge and skill. With these peers, I have a strong “professional appreciation” bond. Most of you can probably fit your personal and professional peers into these categories too. And it is these two groups that have a great deal of impact on how we grow as professionals. What happens when people from these groups share content with you? You get that feeling I described earlier, right? You may immediately stop what you are doing to check it out or you’ll save it to consume later. Because, you know what they’ve shared with you is not just information, but distilled knowledge that will help you grow as a professional. When it comes from your professional inner circle, you know it’s the good stuff. This process of relying on your trusted circle of professional friends and colleagues is the key to content discovery for the self-learner. But identifying what content to consume is just a partial solution to the self-learner’s dilemma. There is still the issue of when and how to consume this knowledge-building content. Any method of knowledge acquisition must be one that doesn’t interrupt our work. Otherwise, most professionals, including me, won’t find the time to improve their skills. Fortunately, there is a way to keep developing your skills without bringing your work to a standstill. Micro-learning is learning that occurs in small units. As Bersin explains, micro-learning is what we see out in the moment that we want and need to learn. In comparison, macro-learning often involves planning in advance to seek out some specific knowledge (and setting aside time to gain that knowledge). Micro-learning can take place in a manner of minutes, macro-learning may take hours or days. As you can imagine, finding time for macro-learning can be a challenge for working professionals like you and me. Micro-learning, on the other hand, consists of information that we can seek out and consume throughout the day without interrupting what we are doing. And that’s important to me. Because, despite my dislike of pedagogy, I have (so far) managed to build a business from scratch, become the CMO of a tier-1 Israeli startup, and now am the co-founder of another startup. I can’t and don’t want to take time off to attend a tedious class–online or off. Professional information needs to be available when and where it is needed. And, the information we choose to consume needs to be specifically relevant for us. My desire to provide this learning solution for myself and my fellow professionals is how Zest Enlight came to life. When I became a self-learner, I chose when to find information and absorb it. By doing so, I was able to continually add to my skills. Self-learning gave me the freedom to control my own career path without stopping its trajectory by taking time off to labor through traditional coursework. This is the kind of learning I love. This is the kind of learning we designed Zest Enlight to bring to others. 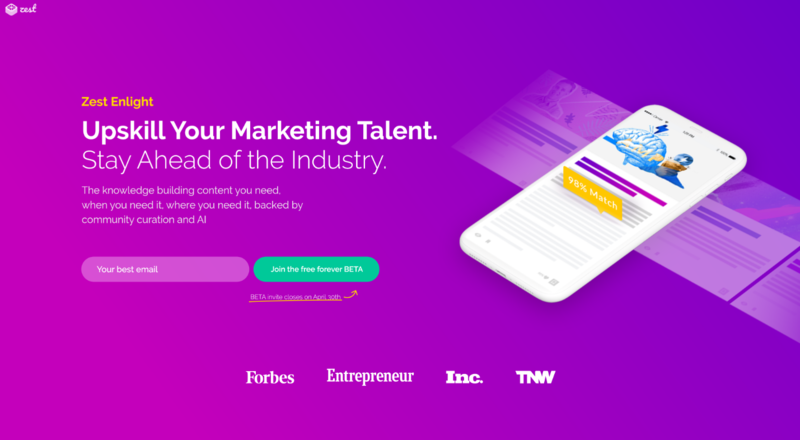 Combining the benefits of human curation and AI content matching analysis, Zest Enlight is the next evolution of Zest and the next step forward for our tribe of self-learners. It is a highly-personalized knowledge-building app that takes a bottom up approach. 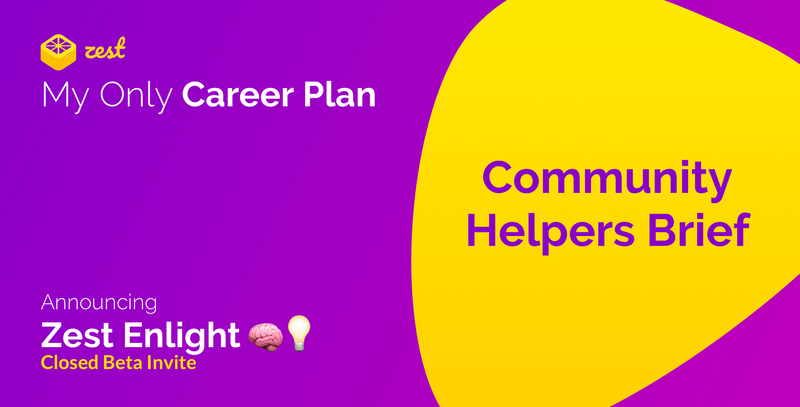 With Zest Enlight, each professional can determine when and how they consume the content they need to develop their skills, rather than letting someone in HR or L&D who doesn’t know or understand their personal learning needs direct the process. Zest Enlight’s technology evaluates the content relevant to you, whose content you’ve consumed, whose recommendations you’ve followed and produces a personalized list of additional content that you should study to improve your professional development. The bonds that each professional once maintained individually become the foundation of a powerful content prediction system. At the start of your Zest Enlight experience, you’ll decide what skills you want to develop and what you want to learn about. You’ll even get to choose the format in which you want to learn it and how often. And, because we know your time is valuable, the content Zest Enlight recommends can be consumed in bite-sized, micro-learning sessions. Zest Enlight is a huge advancement in the already incredible knowledge-building you’ve experienced using Zest on Chrome. Idan and his team have done some amazing work, creating an AI matching system that will deliver a micro-learning experience like no other to Enlight users. But, before we can release this new learning experience on the world we need to put it through its paces. Ready to join the tribe of self-learners who will beta test Zest Enlight? Stop wasting time trying to find great content and begin developing the study habits that will propel your career forward. Now is the time to become a part of the tribe. You can sign up for Zest Enlight’s close beta now and receive free access for life.